In Roman times, water was wealth. Running water in the city was one thing, but having it in your house instantly put you a cut above the rest. Enter Pont du Gard. At an impressive 48.77 metres, it was the highest aqueduct bridge in the Roman world. 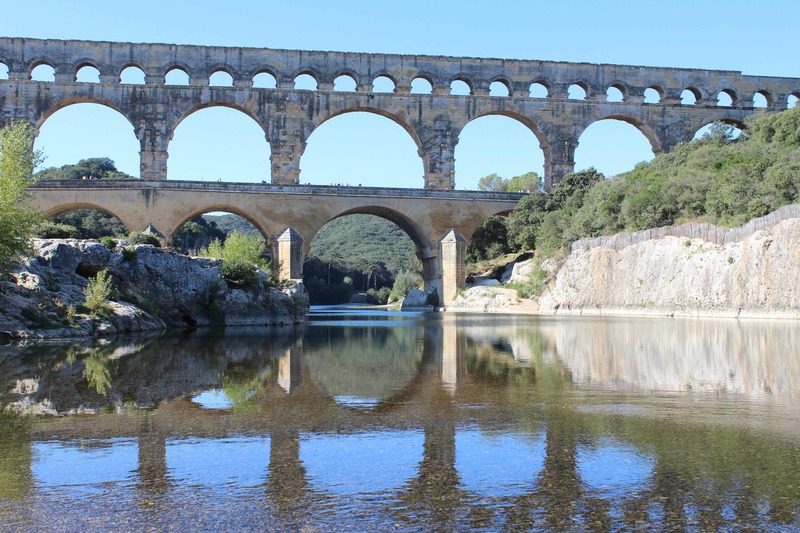 This is the best-preserved section of an incredible aqueduct system that carried about 20,000 cubic metres of fresh spring water a day, over and around hills and across gullies and rivers, from an aquifer near Uzès to the then-Roman city of Nîmes. Did someone say ‘water restrictions’? The aqueduct itself is a real feat of engineering, with a fall of only 17 metres across its entire 50-kilometre length. Going through the museum at the Pont du Gard site and seeing how it was done ‘back in the day’ is a head-spin (not to mention the museum itself). Today, Pont du Gard stands as a testament to the legendary Roman determination and ingenuity. It also shows the value they put on having access to fresh water. And a lot of it. While the average Roman living in the city relied on the many fountains spilling out fresh water, the wealthy had fresh water ‘on tap’ at home – water for drinking, cooking, bathing, flushing, washing, and even for fountains. And I can’t argue with that. This entry was posted on Monday, October 8th, 2012 at 2:17 am	and tagged with aqueduct system, Pont du Gard, water and posted in France, Travel, Wellbeing. You can follow any responses to this entry through the RSS 2.0 feed.